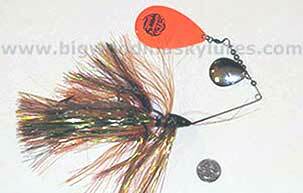 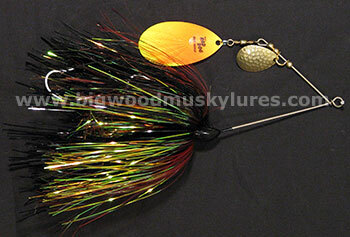 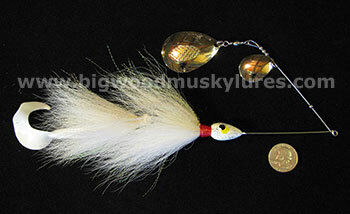 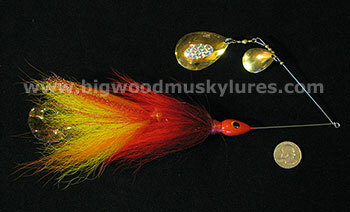 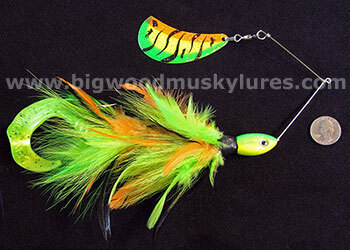 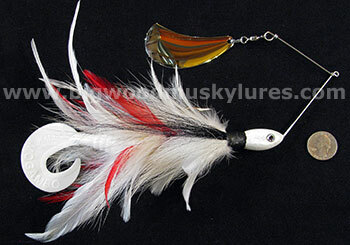 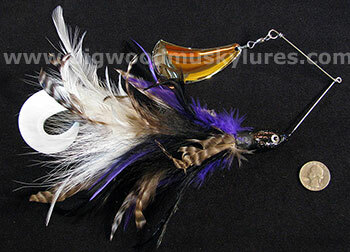 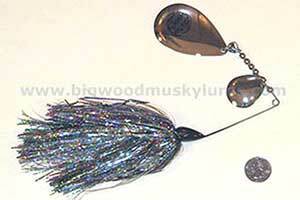 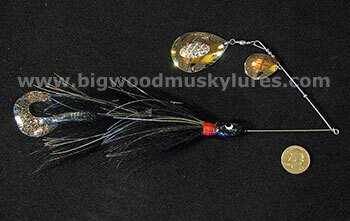 Description: The Ghosttail Spinnerbait from Hirsch's Ghosttail is an American made Muskie lure from Hayward Wisconsin. 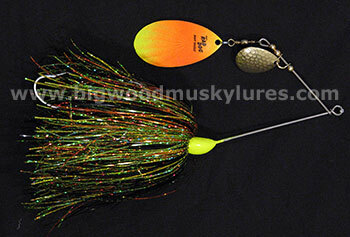 Well built and affordable these baits come from a family run business of over 30 years! 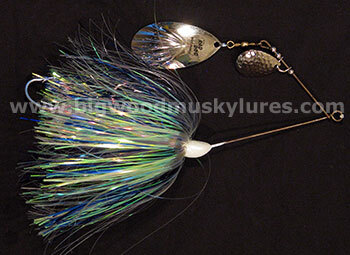 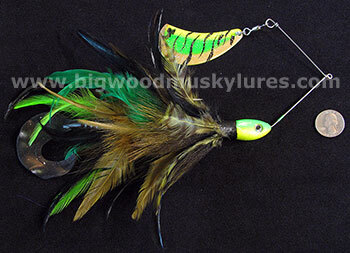 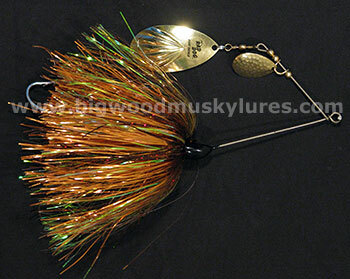 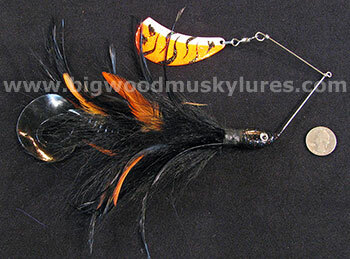 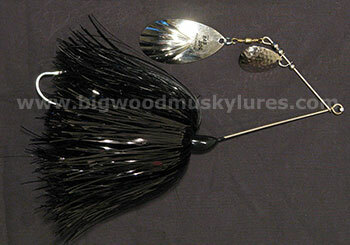 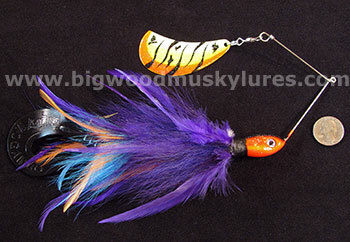 Custom blades with unique combinations of hair and tinsel make these baits irresistable to big Muskies, Pike and Bass. 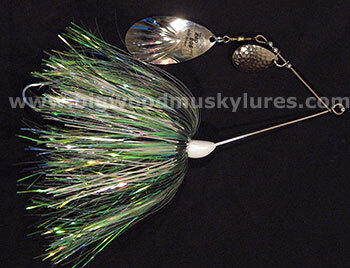 Great for working in and around weeds, the Ghosttail Spinnerbait's design makes in naturally weed resistant. 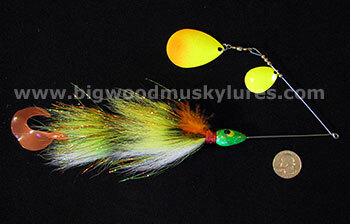 About 1.8 oz. 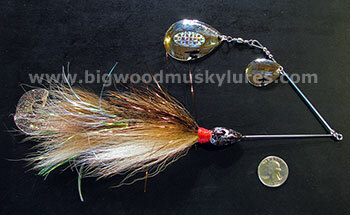 overal weight and 10 1/2".